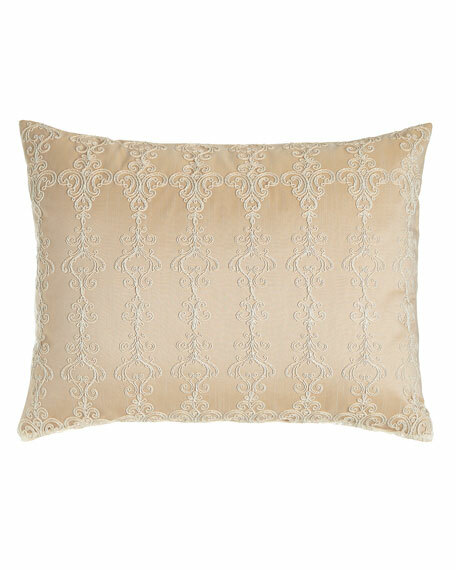 Two-piece sham features European-woven ivory lace over a champagne pillow cover, both with zip closure. 400-thread-count cotton jacquard. 2" flange; concealed button closure. 20" x 36". Machine wash. Imported.